Powerful trends are coming together to make homes better than ever. Change doesn’t come quickly to the world of home building, particularly when it comes to home design innovations. But when change finally does happen, it’s usually here to stay. That’s good news because slow, time-proven, evolutionary change is more likely to be worthwhile. With that in mind, here are three homebuilding and renovation innovations that are improving homes, cottages and renovations right now in big ways. Understand what they offer, and you’ll be better able to make the most of your home improvement plans and finances. It’s changes like these that will make the homes of the future so much better than they are today. Perhaps the biggest home building innovation of all is something that began in the 1960s. That’s when modular homes first emerged, evolving from the trailer home industry. Modulars back then still looked a lot like trailers and that’s why they used to be called “factory” homes. But fast-forward 60 years and modular custom builders are sophisticated enough that they’re creating an opportunity for both homeowners and contractors. And as with advances in industry, it’s the early adopters who gain the most. In 2013, I learned two things as I walked through a modular home at a national trade show. First, modulars can look and feel at least as good as any custom home. In fact, today’s best modulars are all custom. Second, I found myself with a hunch. Could homeowners and conventional contractors sometimes gain by partnering with modular builders to create partially completed shells that would be trimmed out on site after delivery? As it turns out, this is exactly what’s happening, and it makes sense in some situations. Many homeowners and contractors still see modular homes as a custom cabinetmaker might view IKEA. Besides being a direct competitor for new projects, modular is seen as trading away design flexibility for cookie-cutter efficiency. But the fact is, partnerships between conventional contractors and modular home builders are starting to happen these days and it makes practical, financial and creative sense for everyone — homeowners included. 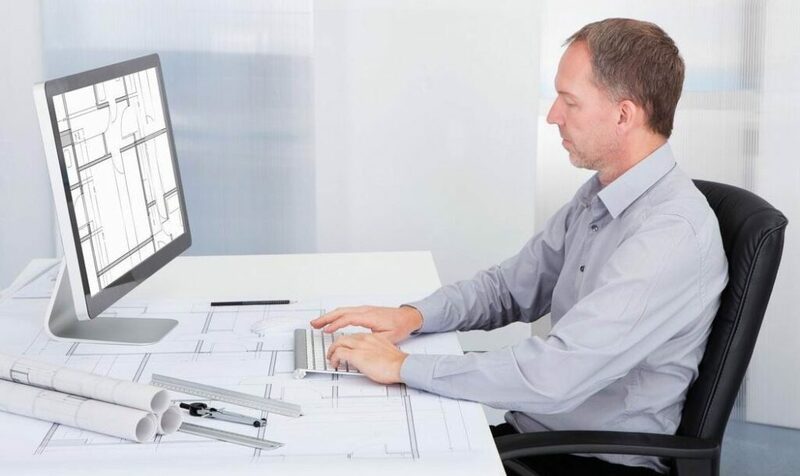 The most innovative modular builders are friendly towards providing partially built shells that can speed contractor workflow, and there are good reasons to consider this option. What contractor doesn’t struggle against a shortage of dependable, skilled labour? What homeowner doesn’t wish their project got finished sooner? Given the natural ups and downs of the contracting business, keeping good labour happy and well-fed is certainly a challenge layered on top of the dwindling level of skills out there. In the same way that modern site-built homes go together with ready-made cabinets, windows, roof trusses and even wall systems, why not partner on building frames? Computer-aided design makes it possible for factory-built homes to be custom-made. These days all factory homes can be unique. Modular home construction is by definition a computer-based endeavour. In fact, the modular home building industry is now so computer-oriented that the best firms are marketing themselves as custom home builders who work indoors in climate-controlled conditions. These days every home coming out of some modular facilities is unique, and this works to your advantage. Contractors working with modular partners are still free to give clients whatever look and feel they want in a home, and homeowners are free to ask for more design innovations and 3D modeling when partnering with a modular builder — either directly or through a contractor. Plans can be finalized with virtually effortless backing and forthing, and the modular part of the project can cost 10 to 15 per cent less than the cost of a site-built equivalent. Some modular builders even specialize in custom additions designed specifically to attach to existing homes. Given our northern climate, speed and quality are advantages to modular/contractor projects, too. Modular homes go up in climate-controlled conditions, so they’re up and dried-in before rain, snow and ice can compromise them. Contractors partnering with modular builders also have a better chance of avoiding that uniquely painful side of being a Canadian builder — torture by winter framing. Projects close to home are always best, but what happens when you want your trusted local contractor to put up a lakeside cottage or summer house 250 kilometres from their area? It’s certainly possible, but much more expensive because of the distance to home base. But this same job becomes practical when your work or the work of you contractor involves finishing and trimming out the bare frame of a modular home already dropped onto a foundation on your cottage lot. With a shorter timeline for completion, venturing farther from home becomes much more practical when the bulk work is done in an indoor custom facility somewhere else. These walls are made of structural insulated panels (SIPs). They perform roughly twice as efficiently as conventional stud frame walls, go up faster and are about 300 per cent stronger. Regardless of how you build your new home or renovation, improvements in energy efficiency are happening because wall construction is changing. 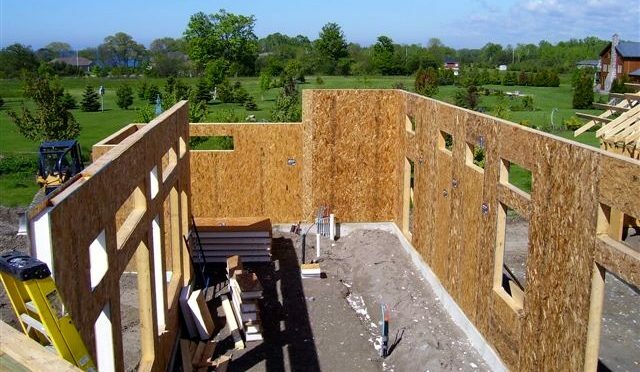 Governments and code authorities across the continent are demanding higher energy standards, and new building code revisions mean that the days of good old 2×6 stud frame walls are numbered. You can still build with studs alone and just barely make the R22 or R24 minimum required in some parts of Canada, but that won’t be the case for much longer. Governments have served notice that minimum energy performance levels will continue to rise even beyond current top-tier standards. So why not aim where the industry is headed? Panelized wall systems such as structural insulated panels (SIPs) are one place where the building business is headed. So is insulated exterior sheathing applied to the outside of wood and steel building frames. Insulated concrete forms (ICFs) are another innovation replacing traditional walls. So, if you’re a homeowner looking to build optimally, you need to educate yourself. And if you’re a contractor, you should prepare yourself to offer clients the best wall technology out there. The best wall systems currently save 50 per cent on energy costs compared to current building code minimums. 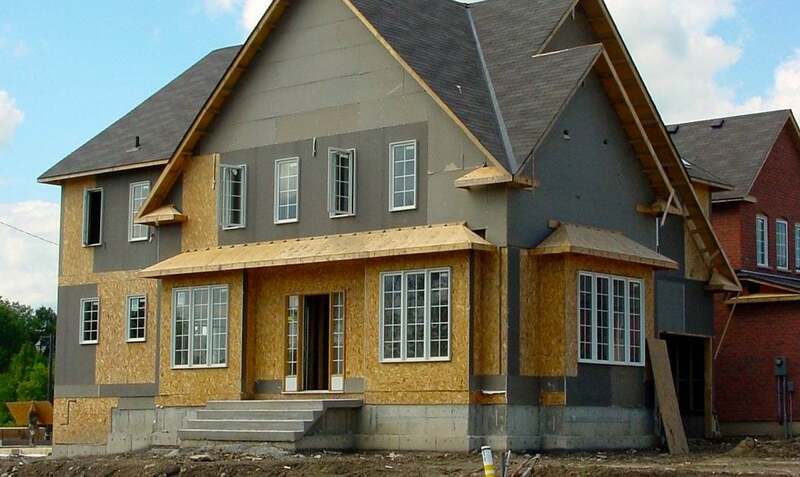 The building world is getting used to working with SIPs, ICFs and other innovative wall systems because the days of traditional wood frame construction are numbered. This model of a wall shows how insulation board is applied to the outside face of wall framing, underneath the final exterior layer. So how exactly do you make a wall warmer? It isn’t just a matter of installing more R value. While more insulation seems like the obvious answer, R value alone is not the whole picture. It really comes down to how well the insulation prevents the movement of internal air currents. 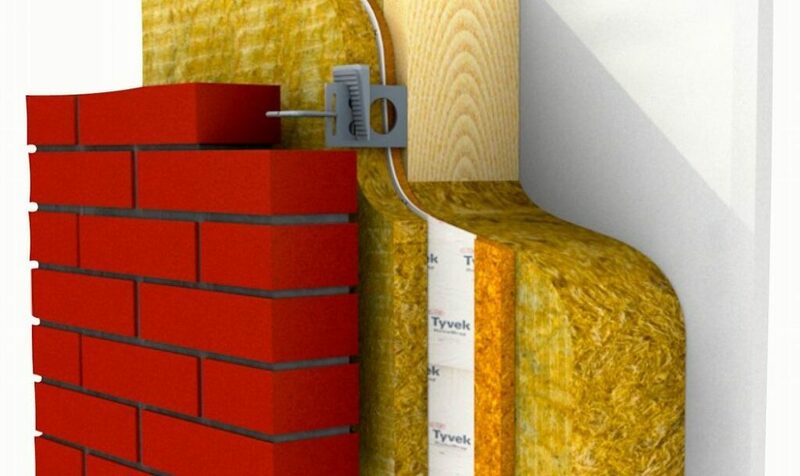 Insulation products such as foam and dense, rigid fibre panels deliver more real-world insulating value for a given R value because they don’t allow air to circulate within them. As the temperature difference inside and outside a wall increases during winter, it drives internal air currents within loose fibre-based insulations in a way that makes functional R value drop drastically. By contrast, the actual R value of air-impervious insulations is always the same as the rated value. The plastic pipes on the underside of this floor fit into aluminum channels that distribute heat more evenly to the floor above. Warm floors make rooms seem more comfortable at lower air temperatures. Everyone loves warm feet in cold weather, and that’s why in-floor heating is getting more common. Trouble is, installing a complete hydronic in-floor heating system can be the most complicated thing that can go into a home right now. The mechanics of the job make traditional wiring and plumbing look positively simple. That’s why it pays to learn how the best in-floor heating systems are installed, and what efficiency really looks like. Hydronic in-floor heating is a beautiful thing. All systems use warm water circulating through pipes in the floor to heat a building, and manufacturers are packaging up all the pumps, valves and switches required into prefabbed units that can be installed much more easily than individual components. Buy a complete control panel, fasten it to the wall, then run pipes to the right connections. Electric in-floor heating is an even simpler option, and though it has been around for decades, reliability has sometimes been a problem. Broken heating wires underneath finished floors are not unheard of with some systems and tearing up the finished floor is the only option for repair. That’s a huge pain that today’s most innovative electric in-floor heating systems are designed to minimize. Schluter’s DITRA-HEAT is the best I’ve seen by far. 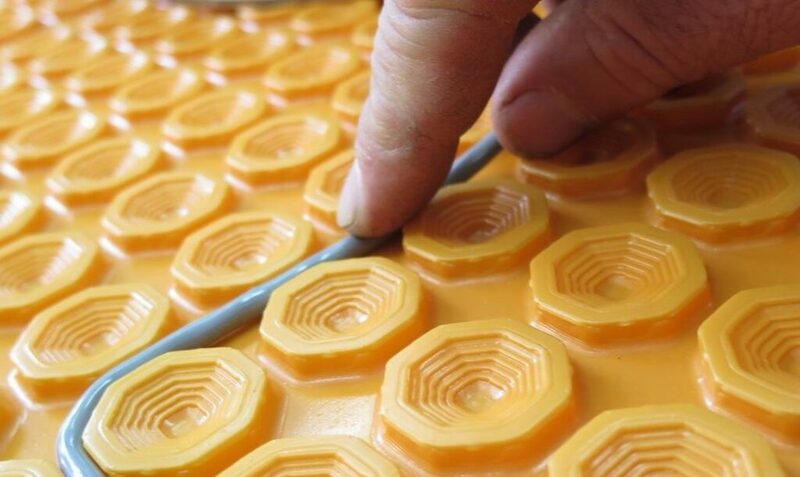 This plastic underlay is designed to fit underneath ceramic tiles. It’s made to hold electric heating cables that deliver warm floor performance in a simple way. Currently, the most reliable systems I’ve seen use a plastic uncoupling membrane designed to accept heating cables that snap into place. This membrane prevents ceramic tile from cracking and the snap-in heating cables are easier to install than traditional in-floor heating mats. Superior design and specialization are the two big things driving major innovations in the home building industry, and that’s exactly what drives innovation everywhere else, too. And while it might take longer for improvements to kick into the home building business, they’re getting here just the same. 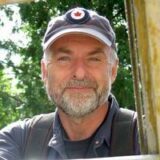 Steve Maxwell has been helping Canadians with home improvement, gardening and hands-on living since 1988. Visit BaileyLineRoad.com for videos, stories and inspiration.